Sydney FC produced a stunning second half comeback spurred on by a Jordan Swibel double, to record a 4-2 success against Mount Druitt Town Rangers tonight at Popondetta Park. There was no substitute for the class that came off Sydney FC’s bench to turn the contest around. Hamish Lamberton entered the game in the 62nd minute, produced a fierce strike with his first touch then assisted a pair of goals for Jordan Swibel and a deflected own goal to give Sydney FC their second victory of the season. For Mount Druitt Town Rangers, they leaked four goals after Cooper Coskerie and Jordan Gomez had given them a 2-0 half-time lead. Once the Sky Blues got a foothold in the contest, the home side panicked and made it ten goals shipped within a week for the promoted side. From the opening whistle, Sydney FC maintained a smooth rhythm with their play. The Sky Blues built up well with Ryan Teague stroked the ball around well in the middle. His switch to Joel King created the first chance which went for a corner. The return of Luke Ivanovic from A-League duty helped, as the tall striker was involved in the first shot as he tumbled a shot towards Town Rangers custodian Carlos Saliadarre, saved confidently low down. Mount Druitt’s best chances came on the counter. Substitute Lachlan Roberts combined well with Cooper Coskerie to fire an early warning shot across the Sky Blues area. Much of the play in the first half hour was with the Sky Blues. They probed several times through Jordan Swibel and Ivanovic, who saw a series of efforts curl wide of the mark as the game waited for an opener. The opening came when Mount Druitt kept the Sky Blues defense from clearing the ball then it fell to Coskerie on the edge of the area. The attacker arrowed an effort into the bottom corner for a 1-nil lead. It was double delight in the 36th minute for the Town Rangers. Roberts was clipped in the box which saw referee Katie Patterson point to the spot. Jordan Gomez converted calmly for a 2-0 lead.  Sydney FC continued to try to find a route back into the contest. Swibel tried to swivel an effort past Saliadarre but the veteran keeper remained poised and the home side headed into the break up 2-0. The contest took some time to build again in the second half as the sides traded yellow cards and the only chance came when Coskerie squeezed between two Sky Blue defenders but a tame shot rolled to keeper Thomas Heward-Belle. The youngster came onto the pitch in the 62nd minute, and within two minutes, rewarded his coaches decision. He opened the play on the right before he drifted into the box to thump home a header to claw back a goal for the Sky Blues, 2-1. Momentum had turned with Sydney FC on top. Lamberton, Ivanovic and Swibel started to dominate time on the ball and penned the Town Rangers in their own end. Town Rangers cracked under the constant barrage in the 81st minute. A pinball around the box fell onto the foot of Swibel. The striker got reward for his performance as he knocked the ball home for 2-2. Sydney FC completed their comeback in the 84th when another substitute, Marco Tilio swept through the Rangers defence then his shot took a deflection off Coskerie into the net for 3-2. Just to nail home the three points, Sydney FC added a fourth. Ivanovic in his final involvement started a precise break which involved Lamberton and Swibel, for the latter to smash home for 4-2. Speaking afterwards Sydney FC Coach Jimmy Van Weeren praised the efforts of his substitutes and the whole side as they turned around the deficit in style. “Both boys [Hamish Lamberton and Marco Tilio] were positive when they came on and it was great to see from the boys. A lot of the boys upfront have that ability to turn a contest and we saw that tonight. A despondent Aidan Desmond on the Mount Druitt Town Rangers sideline lamented some basic errors that his side made when Sydney FC got back into the contest after a solid first half. “I was happy with the first half. We came out in the second half, didn’t follow some basic instructions and let ourselves down. We gave them too much time and space on the ball then were punished for it.